Technology has become a huge part of our lives, and that definitely includes Disney World trips. 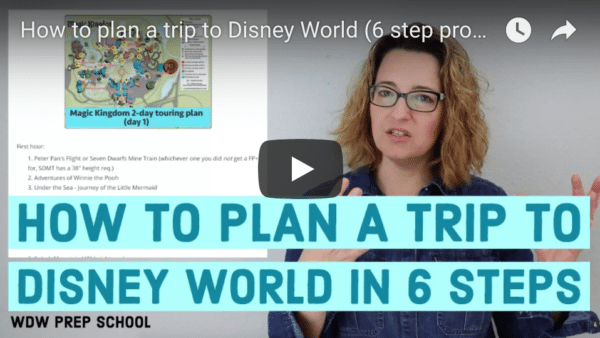 I have some tech tips for your Disney World trip, including app suggestions, tools you can use, and some gear you might want to buy. Since most people use their phones a LOT during their trips, make sure you prepare yours ahead of time. Free up space by deleting unnecessary photos, apps, etc. That way you don't run out of storage during your trip while trying to take a photo or video. 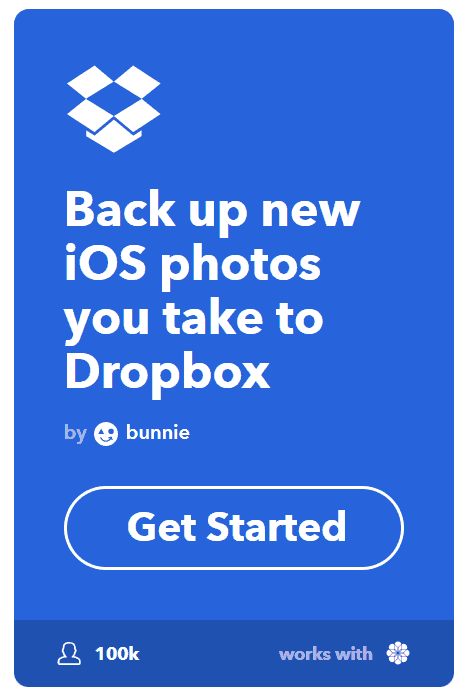 Upload photos to a storage service such as Dropbox. I install the app on my phone and have it automatically upload pics from my camera roll so that I can delete them from my phone. If you have Amazon Prime check out Prime Photos. Prime Photos is free with your Amazon Prime subscription. 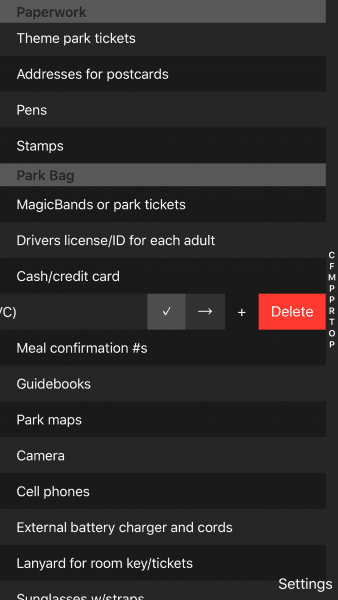 Take screenshots and/or print reservations in case the My Disney Experience app doesn't work. This will also help save your phone battery if you aren't opening the app as much. If you are feeling extra creative you can even make lock screen images that highlight your daily reservations so that you don't even have to turn on your phone. Create shortcuts to mobile sites. This will create an icon on your phone so that you can get right to websites you frequently use. Learn how to use your phone's camera. Be sure to hold your camera in landscape when taking videos, and learn how to use the camera app. Burst mode is especially handy when photographing moving parades, children, etc. Enable features like Find my Phone and Find My Friends. White noise tracks can come in handy. Consider downloading a white noise track if you think it will help your family sleep during your trip. Do not spend your Disney World trip tethered to a wall. Use an external battery charger that you've purchased and charged ahead of time. I suggest getting one that's at least 10,000 mAh which will allow you lots of charge for your device(s). I suggest the Jackery chargers which come highly recommended and get lots of great reviews. If you forget to bring an external phone charger with you, you can purchase FuelRods in the park. FuelRods are small, portable chargers that are available via kiosks. There are multiple kiosks that sell FuelRods available in all 4 parks, Disney Springs, and there are even kiosks at the resorts. The main selling point for Fuel Rods is that you have the option of either recharging it yourself OR exchanging it for free at any kiosk (nationwide) for a fully-charged battery. You can swap them out as many times you want - all at no additional cost. FuelRods are available in other places around the U.S. where you might find you need to charge your phone (like in airports) but the quality of these chargers aren't going to be anywhere near what you could get if you spent $30 for an external battery at Amazon. They charge much slower and can only charge about 1 device before they need to be recharged or exchanged (compared to one of the external charges linked above that can charge multiple devices much faster). Our advice is to not plan on relying on the FuelRods for your trip. Use them if you have an emergency but instead plan ahead and buy something of better quality to bring with you. 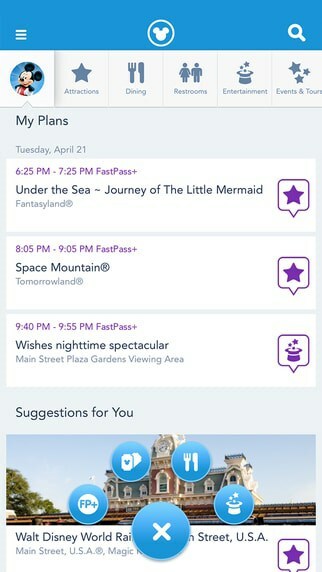 Disney's own app that allows you to view wait times, make dining reservations, see park hours, and much more. An app to use as you pack for your trip, based on my own Ultimate Packing List. You can add your own items, delete items that are suggested, and mark things as packed. Also, the developer is 1 of my favorite humans on the planet (my son). 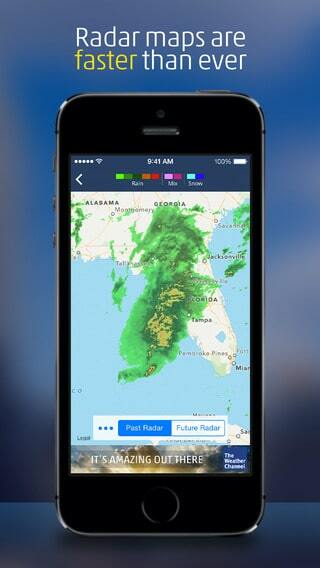 Tip: Scroll down to the radar section to help you determine how long a rainstorm will last. Rain is common in Orlando, but it's often short-lived and you can usually wait it out. 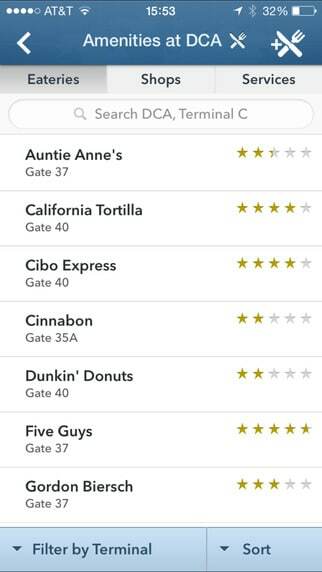 Install the app for the airline you're flying and also consider installing Gate Guru which will help you locate amenities at the airports where you'll be. Tip: If you plan to use your airline app or a text link as your boarding pass, also take a screenshot of those. If your flight is delayed, those sometimes stop working but you can use your screenshot as a backup. For our road trips, I like to make sure I have Waze handy for traffic reports along the way, and iExit to help locate amenities so we can plan our stops. Tip: If you use Google Maps to navigate, it includes Waze reports to help you see traffic on your route. 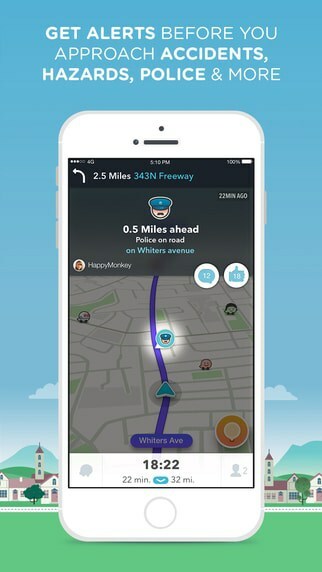 Available for: Waze is on iOS, Google Play, and Windows Phones. iExit is available for iOS and Google Play. I make lots of collages with my Disney World pics, and people often ask which app I use. 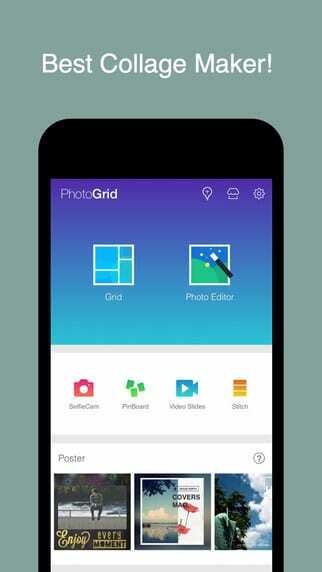 Photo Grid is my favorite collage app and it has lots of options that I love - many collage layout options, ability to add a background color/pattern, filters, square crop (perfect for Instagram) and built-in poster styles. 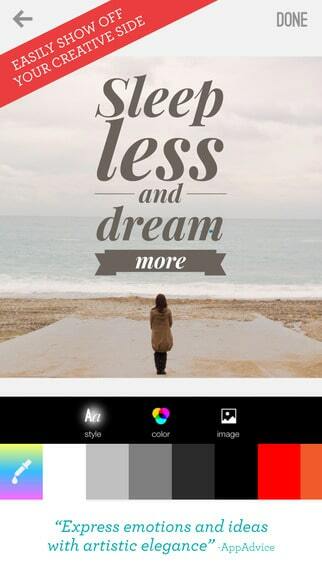 Typography nerds like me love this app which makes it easy to create images with beautiful text right from your phone. Listen, I'm in my 40s now and time is not kind to middle-aged folks. 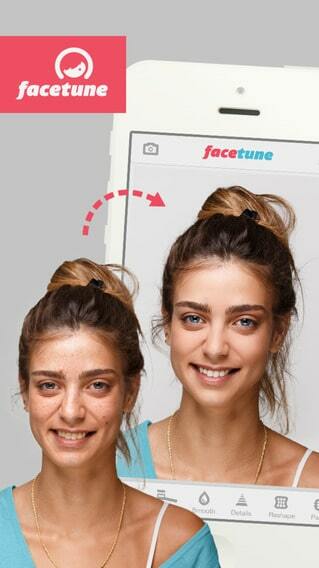 If you'd like to tweak your appearance from your phone before sharing your pic elsewhere, get this app to make some quick adjustments. 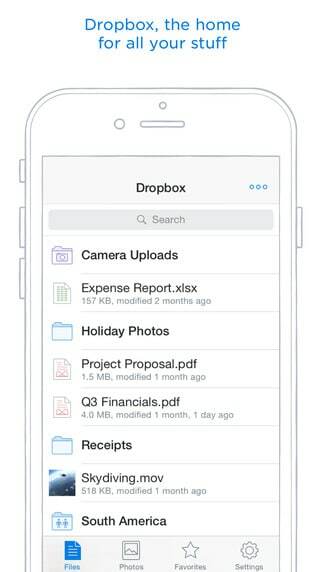 Dropbox is a good idea if you plan to use your phone as your primary camera during your trip. Uber is a car service app that's available in many large cities, including Orlando. It allows you to call a car to pick you up wherever you are and usually for less than what a taxi would cost. I use it on every Disney World trip now. Tip: Get your account set up before your trip, including adding payment info. First time riders can use code "shannona9" to get a free ride worth up to $15. Read lots more info about how Uber works at Disney World. Lyft is a car service app (much like Uber) that's available in many large cities, including Orlando. In addition to being used for traditional ride-sharing the Lyft App is also what you use if you want to use Minnie Vans at Disney World. Tip: Get your account set up before your trip, including adding payment info. Read lots more info about Minnie Vans. Mears is the company contracted to provide taxi rides at Disney World. This app allows you to call a taxi right from your phone instead of having to find a taxi or give them a call. 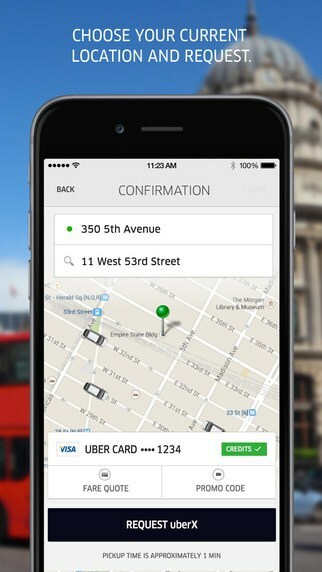 Tip: There's a "later" option in the app that will allow you to pre-schedule a taxi. Also, if you need a car seat, you can request that in the app and by calling. As soon as Ellen released this app, I immediately thought it would be fun to do when you have to wait for things at Disney World, and lots of people do use it like that. Always good to be prepared to keep your family busy before they get antsy and impatient. 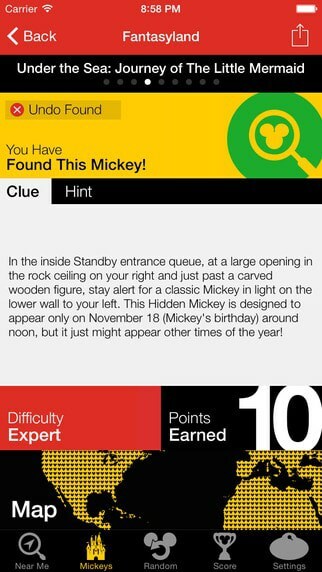 In fact, there's now a Disney Parks deck in the app that you can get for free when you're located at a Disney park. Keep yourselves entertained during your trip by looking for hidden Mickeys which are found everywhere at Disney World. This app makes it fun to find and record the ones you've found. IFTTT is a site/app that we love at our house because it allows you to create rules (which they call "recipes") that make things happen when an event is triggered. Here are some ideas on how to use it for your trip. Taking photos on your iPhone during your trip? 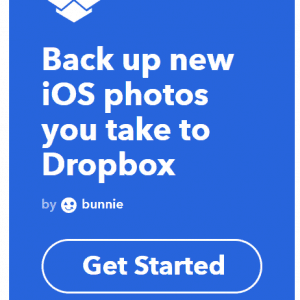 Have them automatically archived somewhere else so you'll have a backup copy. You can have IFTTT do something every day leading up to your trip. If you're traveling with a group, it would be fun to include everybody in the countdown. Do you use the TripIt app to keep track of all of your travel details? Have your travel emails automatically forwarded to TripIt so you don't have remember to do it. Here's my Pinterest board for techie stuff with even more tips and ideas for your trip. Follow Shannon, WDW Prep School's board Techie Stuff on Pinterest. 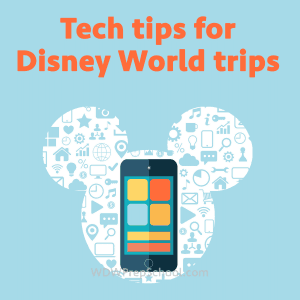 What other apps or phone tips do you have for Disney World trips? Feel free to leave your thoughts in the comments. The amazon portable charger you recommend above was part of a massive recall earlier this year. Apparently the chargers overheat and burn/melt. I returned my 3-year-old one for a full refund, but haven’t replaced it yet. Thank you for the info. Just removed it from the post. Shannon – is there an app that will watch out for ADRs that might open up rather than having to check back every hour or so? Yep! Try MouseDining.com which will alert you. I use a Samsung Gear 2 watch and a Gear Notes app to create lists of all my Fastpass and dining reservations. Instead of pulling my phone out, I can double press the home button on my watch to view my itinerary. I can also set alarms and/or vibrating reminders to alert me of show times, character times, etc.etc. An added bonus is the ability to change watch faces for that particular days theme. Sport a cool BB8 or Darth Vader watch for Hollywood Studios and a flying Figment for Epcot. With all the different watch face apps the possibilities are endless. The watch also has GPS and could help guide you through the parks. Although I’ve never needed to do that, it’s there if you need it. I took a screen shot of my itinerary for my last trip and it helped immensely!! So convenient and easy to not have to open my phone and the app to know what was next. I have the google drive app on my phone for all my pictures and I love it! I can access my pictures everywhere as long as I am on google. Fabulous info, as always! Being a “middle-aged folk” myself, I love the idea of Facetune! I did not take screen shots of mydisney app and regretted it. I had made printouts but did not take them with me. Didn’t think I would need either of these items and of course they decided to make upgrades to the app the day we were at Epcot and so we were not able to see our fast passes. So this is a great tip to do. I’m still a rookie and your site is awesome for this Disney rookie.